If you are interested in this topic, I encourage you to check out the Candidate Experience Awards. When you look to improve the candidate experience it’s important to focus on not only all the stages where you are interacting with candidates but also the devices that candidates are using to make those interactions. And no device category has been as disruptive as mobile has and will continue to be. SEO: Search Engine Optimization is an important element of a comprehensive recruitment marketing strategy and having your Career Site and your individual jobs be optimized for search engines is a great way to attract more candidates that are searching for the positions you offer. And you want your Mobile Career Site designed in a way to receive this SEO benefit as well. Larry Engel wrote a nice piece on changes to how Google is indexing and ranking sites through it’s mobile search, that I encourage you to check out. Job Apply Flow Opt-In: Just like for your PC recruiting process flow, you should be putting a simple opt-in form directly in your job apply flow. So when a candidate clicks to apply, they can provide you with simple business card information should they fail to complete the application process. This will be important not only in building your Talent Network but also when you first implement your mobile application process as drop-off might be higher. When we talk about mobile engagement we are talking about a few things. First, it’s about being able to engage with contacts that you’ve captured in your Talent Network. This revolves around not only communication methods like SMS but also in ensuring your email templates and the landing (or job) pages you point candidates to are mobile friendly as well. Second, it’s around using mobile to enhance face to face interaction. At events such as Career Fairs, leveraging mobile Talent Network forms or enabling candidates to use their own mobile devices to interact, opt-in and engage with your organization can greatly enhance your brand in the candidate’s mind and make you an employer of choice. Here are some good examples of ways to leverage mobile in this way. This is one of the big hot-button issues around mobile currently and for good reason. Having a candidate be able to apply to your organization via mobile will be commonplace in a few years and the key is understanding how your process can accommodate that. In terms of getting your apply process mobile ready. There are a number of vendors in the space that provide Mobile Apply tools, however, I also recommend you talk to your Applicant Tracking System as well. ATS such as Taleo provide ways to create an application that renders well on mobile devices. What will be the flow of the mobile experience once a candidate gets to your Career Site? 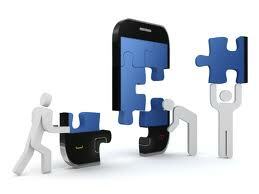 In most cases you’ll want your mobile optimized Career Site and job search to flow to the mobile application. This ensures SEO benefit and allows for job apply flow opt-in capture before a candidate enters the application. What information do you need to make an educated decision on a candidate? With mobile, you may want to reduce the amount of information you ask candidates for. This is not to say you water down the application so much that you don’t have enough information to make a decision on a candidate. Also keep in mind that candidates may not have a resume loaded on their mobile devices so alternative methods of getting information might be needed. What percentage of the population is using the mobile application? This can give you an idea of what your candidate population prefers. While you should have both a normal and mobile application process, this can help you really direct your efforts. Do I have a way to capture feedback? Is there a place on your site or in the application process for candidates to give you feedback? This can be crucial to improving the overall apply process and especially in understanding how your mobile process is doing. This can be done for mobile application drop-offs by creating trigger campaigns based off mobile Talent Network opt-ins. If a candidate opts in via the mobile apply flow and doesn’t finish the application, you can automatically send him an email to ask them to provide feedback. Mobile is quickly changing and augmenting the way we interact, engage and absorb information. And it’s integral to begin thinking about the ways this impacts a candidate’s experience with your jobs, employer brand and application process. Mobile recruiting is the future and it’s time to get started now before you fall behind. Today, corporate career sites are noted by employers as one of their most successful channels for recruiting top talent. Unlike a company’s consumer site where the majority of content is dedicated to showcasing products and services, a career site can provide robust employment information to interested job seekers. Plus, the narrow focus allows your company to strengthen your employment brand with breadth and depth.